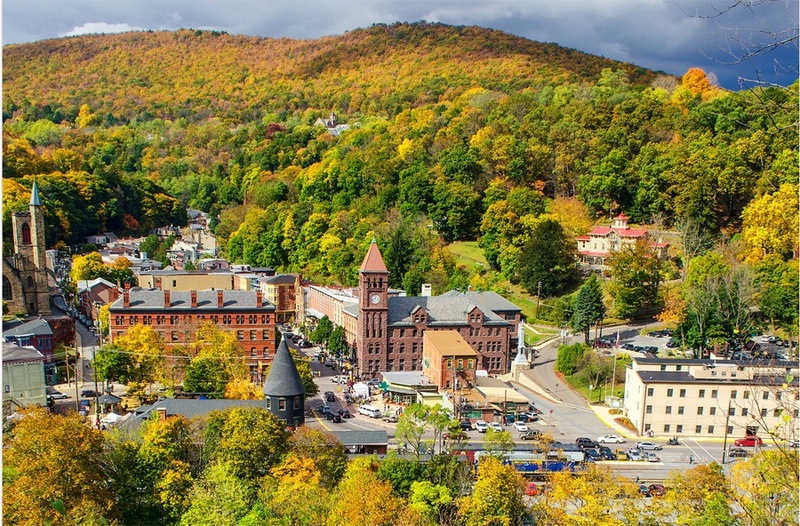 Occasionally you’ll hear someone describe a place as being, “As pretty as a postcard.” That certainly could be said of Honesdale in the Poconos. 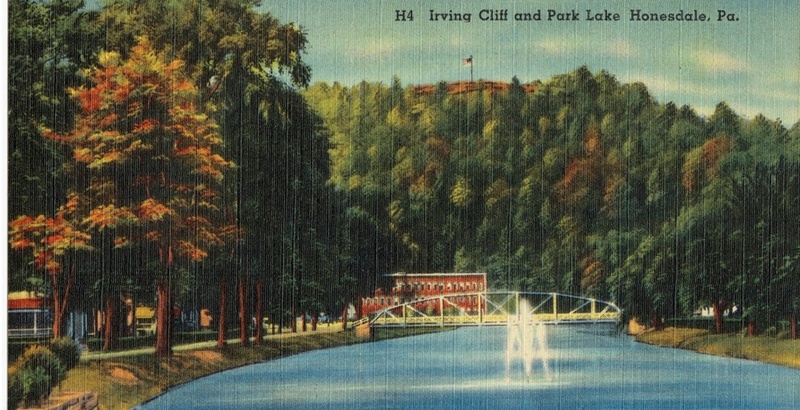 The vintage postcard you see here captures some of the charm that’s made Honesdale, PA a favorite destination for many years. The town offers a wonderful mixture of beautiful scenery, fascinating history, and modern conveniences and amenities. If the idea of living “away from it all” and still being close to the things you enjoy is enticing to you, Greenwood Acres is a location you’ll want to explore. In fact, it’s an ideal location for a first home, a vacation home for the family, or even a place where you can retire, this is a great place to be. The community of Jim Thorpe is one of the most visited small towns in the whole Poconos region. National media consistently ranks it on their “best-to-visit” lists as among the most beautiful, romantic, and fun adventure towns in the country. What they may not realize is that it’s also a great place to live. Here’s a look at some of what makes Jim Thorpe so appealing. 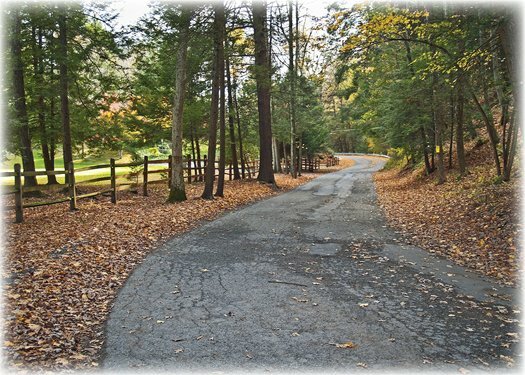 The Poconos region offers so many different types of communities for those who want to take advantage of the beauty of the area at any time of year. For some, the Poconos are synonymous with a rustic lifestyle. If you’re looking for something a little more refined, however—with plenty of amenities—you may want to take a look at the Eagle Rock neighborhood. The Poconos region has an abundance of small towns—each with their own unique character and history. One town in the heart of the Poconos Mountains that merits a closer look is Stroudsburg. 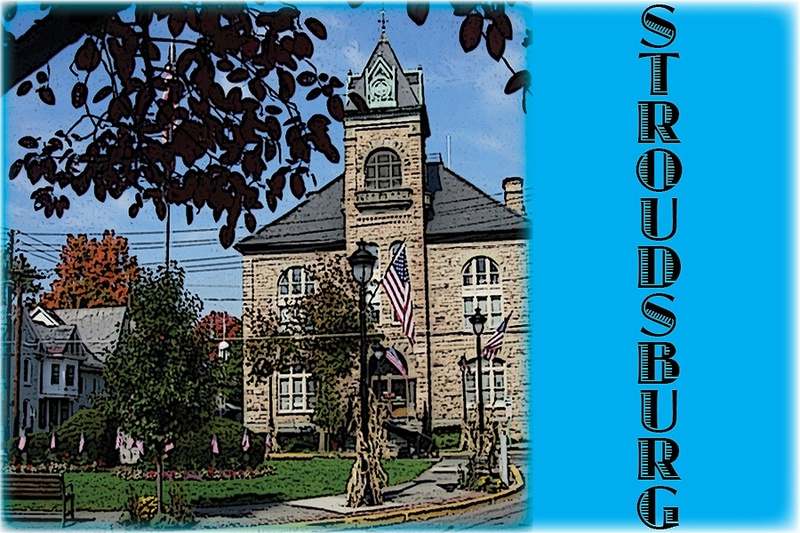 Located 38 miles north of Allentown and 53 miles southeast of Scranton, Stroudsburg was founded by the Jacob Stroud family in the mid-1700s. It serves as the Monroe County seat. Not only is Thornhurst Township a beautiful place to live—with an abundance of running streams and forested land—but it also has a long and rich history that dates back to 1878. However, it might surprise you to know that the actual name of the township was originally Lehigh Township and didn’t actually take the name Thornhurst Township until 1996 to distinguish this township from one of the same name in neighboring Wayne County. 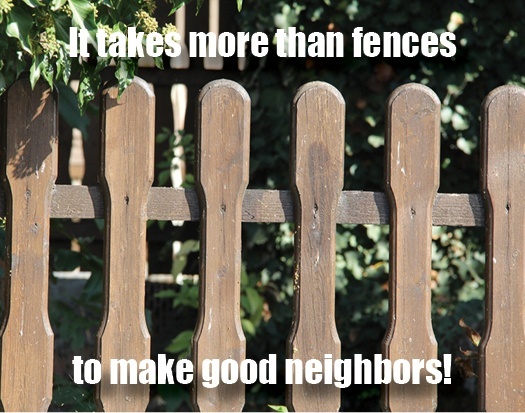 There’s an old saying that “fences make good neighbors.” That may well be true, but here in the Poconos we think there’s more to the story than that. If you’re considering building a new home in the region, paying attention to who different neighborhoods is essential! When people talk about heading to the Poconos they’re talking about a pretty good-sized area. This section of northeast Pennsylvania covers more than 2,400 miles and crosses four separate counties (Carbon, Monroe, Pike and Wayne counties). Just because you’ve seen one part of the Poconos doesn’t mean you’ve seen it all.